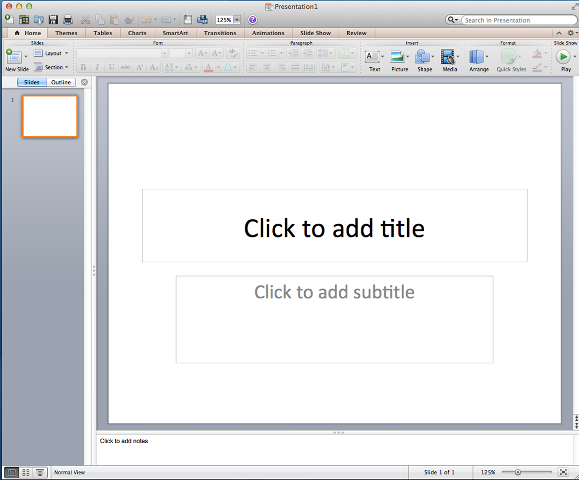 As it mentions in the comments, add a blank slide to the beginning of your presentation then run it. It'll add a single text box with a paragraph per slide, paragraph text is the slide's title, each paragraph linked TO the slide. IOW, an instant TOC. Last week, I sent a Keynote presentation to a friend of mine. He told me that he could not view the presentation because PowerPoint could not open it.